Batgirl & the Birds of Prey continues its run as a ridiculous book, with little substance, illogical plots and motivations, and insulting characterizations… Twelve issues in, it’s clear none of these aspects will change, so if you’re hoping for something different, then I’m sorry to tell you that it probably won’t happen. BUT, the inclusion of Catwoman brings a boost of energy to the title, even if I don’t feel she’s written well. I’m going to start with the positive. This issue benefits from the inclusion of two well-known characters – most importantly, Catwoman. Much like Nightwing and Green Arrow’s inclusion in the previous arc, these characters help bring a boost of energy to the narrative, and that alone can be quite exciting. 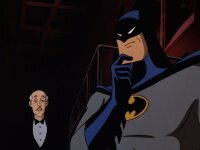 Once you factor in the Calculator, Barbara’s history with him, and references to Batman and Catwoman’s current situation, it’s clear that this story is more connected to the universe than anything that’s come before it. I consider that a win! Unfortunately, the positive attributes essentially end there. As I’ve mentioned before, this title relies on convenient plots that don’t stand up too well to logic. At the moment, the Birds of Prey are working with Calculator to try and rescue his family. To get to this point, we’ve had to suffer through a tedious, highly unbelievable set of events over the past year. All of this began with Gus secretly taking on the moniker of Oracle after the real Oracle’s (Barbara) disappearance. After doing some work as Oracle, Gus was found by The Calculator, who then hired Gus to carry out his dirty work, while also using leverage against him. At this point, I’m on board with everything. Over time, Calculator gets caught in a bad deal, and as a result, his family is kidnapped. With the kidnapping of his family, he orders Gus to infiltrate the Birds to gain their trust, in hopes of then using the team to help rescue his family. This is where things go severely off track for me. To get the Birds’ attention, Gus begins working with various members of the mob, leaving clues of his identity along the way, knowing Barbara will take it personally that someone is using her old identity as a means to do evil. During the hunt for this new Oracle, Gus set’s the Birds up a number of times to be killed, and even kills handfuls of innocent people in the process. Point blank, he’s a mass murderer, or, at the very least, an accessory to murder for a number of instances. But don’t worry, he didn’t really mean it… Once the Birds discover Gus’ past, they still, for a reason that I can’t begin to explain, not only forgive Gus, but invite him onto the team. (Yes, you can proceed to scream and pull your hair out. I do it monthly.) I guess the fact that Gus donated the money he stole to charities makes up for all the people who are dead because of his actions… What a hero! Am I right? The Birds fully bring Gus onto the team and utilize him on missions, all the while Gus is still working for Calculator. After a few months, Gus’ actual situation is revealed, and…. The Birds still accept him! A meeting between the Birds and Calculator is facilitated, which is when everything comes out in the open concerning Calculator’s family. The circumstances are over dramatic, and the writing team gives us a roundabout reason as to why Calculator couldn’t just reach out to the Birds directly for help. Ultimately, it’s a stupid excuse to try and justify the stupidity of the story. It’s the same approach that has been used a number of times for Gus and other plots leading up to this point. It’s all one big, illogical series of excuses and unbelievable actions. Looking back, all of this could have been avoided by simply having Calculator reach out to Barbara for help. Realizing this is painful because it makes the past year worth of stories a complete wash. Let that sink in for a bit. Now that we’re at this point, we learn that the issue at hand is more complicated than even Calculator realizes. Calculator thinks his family is kidnapped because of some diamonds Catwoman stole from the company Terracare after she acquired building plans, security details, and vault schematics from him. As it turns out, there’s more to the story. The diamonds were apparently a front, and Catwoman had intentions to take something else from Terracare. This should be a good thing, right? We’re getting a complex story, right? Wrong! As expected, even this “twist” fails to stand up to logic. Catwoman was approached by Poison Ivy to steal a vial from Terracare. Catwoman owed Pamela a favor, so she didn’t ask questions. Selina assumed that the vial was an eco-friendly compound, and that’s why Ivy wanted it… But that doesn’t stand up to logic. If a major company were attempting to do something that supports Ivy’s cause, then why would she want to stop them? Catwoman is smarter than this and should have known better. To make matters worse, the fact that Ivy even needed to hire Catwoman feels absurd because she works for Terracare! Why in the hell would she need someone to sneak in? She’s already on the inside! You could come up with a number of arguments for why she hired Catwoman in this moment, but Ivy’s actions by the end of the issue cancel out all of those potential arguments. This is why I stress asking those simple questions (who, what, how, where, when, and why) to work through your story. It’s critical that writers work through their story, if they hope to have a good story. And if they’re not working through the story, then the editors should. Beyond all of this, you have to ask yourself why Terracare would be so adamant to harm Calculator and his family for giving out information on the building, but not go after Catwoman – the person who is actually responsible for stealing the vial! Again… It’s just another example in a single issue that doesn’t stand up to logic. What makes matters worse, is that this is the case for every issue of Batgirl & the Birds of Prey that’s preceded this one! There’s always one moment (if not more) the essentially undoes the entire story. That alone makes this book and issue sub-par. Another aspect of poor characterization found in Batgirl & the Birds of Prey is the continuous examples of the characters saying one thing, then executing actions that oppose that. We’ll call it “Donald Trumping.” There have been countless examples of characters saying the can or can’t do something, only to immediately following that comment up with contradicting actions. In this issue, the Birds are trying to figure out how to meet with Catwoman. Huntress recommends the logical idea of reaching out and talking to Catwoman, only for Babs and Dinah to follow up with, “Sure, like when we tried to explain how we needed the mobsters alive to track down Oracle, but you were hell bent on killing them anyway.” The problem with this example is Huntress stopped killing mobsters (especially the main mobster in question) once the Birds told her of the situation… So this example, like the plots leading up to this moment, doesn’t hold any water. This same example continues my point though. Batgirl reaches out to Bruce for help contacting Catwoman, only for Bruce to call her out on her previous lashing that she didn’t need Batman’s help, only for Barbara to then follow-up with the declaration, “I don’t!” Let’s be very clear, she needs Bruce’s help, and she is asking for it. Please tell me you see the stupidity of this! And it gets worse! Remember how I commented on Batgirl condescendingly shutting down Huntress for recommending to just talk to Catwoman? Well, that’s ultimately what happens. Batgirl ends up saying, “I need to talk to you,” and Catwoman is all ears. Frustrating, right? You know what makes this even more frustrating? The fact that Batgirl lied to Catwoman to meet with her, initiated a physical conflict, then got mad that there was a physical conflict… This is some psycho logic! To continue the downward spiral, the book gets even worse with horrendous dialogue. Page after page, it’s nothing but bad dialogue or pathetic puns. Some of the lines written in Batgirl & the Birds of Prey would give the script of Batman & Robin a run for its money… That should say something! I could go on and on discussing the problems I have with this issue/book in depth, but we try to keep our reviews within a range of 1,000 to 1,500 words, and I’ve easily surpassed that. Because of that, I’m going to skip my usual breakdowns and provide a list of everything that struck a nerve with me in this issue. Keep in mind that these examples are on top of what I’ve mentioned above. Batgirl harasses Helena about wanting to talk to Catwoman. The need for Batgirl to announce Canary and Huntress will get to wear costumes to go undercover, as if going undercover didn’t already imply that. Batgirl proclaims Catwoman’s only weakness is a man. Batgirl’s denial of Bruce’s help, then request for it, then follow-up claiming she doesn’t need him in the exact moment that she needs him. Dinah’s awkward and unbelievable approach to initiating the trade. Dinah’s poop puns to the head of Terracare. Dinah remarking that she didn’t want a tour of the facility, when Dillion was clearly taking her to the hostages. Huntress’ surprise that she doesn’t have clearance to secret levels of Terracare while using a pass that was given to her as a repairman. That Catwoman would believe Batman wants to meet her in costume during the day. Batgirl tricking Catwoman, attacking her, then getting mad that Selina is defends herself. The fact that Catwoman has the diamonds that Babs and Calculator are looking for on her person, despite the fact that she stole them months ago and had no idea she was meeting Batgirl or Calculator, or that their intentions even concerned the diamonds… I mean, give me a freaking break! Catwoman mentions Poison Ivy came to her a week ago wanting to have a vial stolen, but Calculator has been using Oracle to infiltrate the Birds so he can save his family for months now. Catwoman’s gullible belief that Ivy wanted the vial because it was eco-friendly. The fact that Ivy needs Catwoman to steal something from the company she works for… Something she could easily get on her own. I find it hard to believe that Catwoman wouldn’t recognize Calculator to begin with. The reminder of Gus’ need for multiple medications. The cheesy, “I’d tell you, but I’d have to kill you” line from Dillion. The fact that Huntress doesn’t recognize Poison Ivy despite the fact she’s looking right at her. The additional fact that Huntress recognizes Ivy after Batgirl tells her she’ll be trying to blend in (when ironically she’s the only person in the lab dressed differently than everyone else). The idea that Ivy would want Catwoman to steal a vial from Terracare when she already had plans to infiltrate the company and dismantle it from the inside. The fact that Kuttler’s wife honestly believes he’s just a computer programmer. Last month, Barbara confirmed they stopped Kuttler a number of times… Are we supposed to believe they never had him arrested during that time? This makes no sense. Ivy’s comment stating “Anyone who works at Terracare is far from innocent! And that include you!” (Referring to Huntress). How does she get looped into the “people who work here” group? Ivy’s senseless comment that “they’re coming to get their revenge.” Who? Who is she talking about? No logical answer makes sense. Why is Catwoman telling Huntress and Canary that they’re coming in to rescue them? Why would she say that? When did she get coms? The Art: Roge continues his work on art. There’s not much of a change from what we’ve come to expect from him, however, he appeared to have fun drawing Catwoman. There were a number of panels featuring Selina that Roge clearly had fun drawing, especially this one! You’re a Birds of Prey loyalist. You don’t mind illogical plots.